The robo-advisory field is upending the financial industry. Consumers benefit with low fees and low minimums for top-notch investment portfolios. You can get a professionally-managed investment portfolio for with no administrative fees at WiseBanyan and Schwab with their Intelligent Portfolios. Wealthfront and Betterment aren’t far behind with management fees below 0.25%. The big investment houses -Vanguard, Schwab, TD Ameritrade and more – are jumping on the robo-advisor bandwagon as well. Not to be left behind, financial advisors are competing and adding their own robo-advisory platforms. Artificial Intelligence is on its way to the robo-advisory industry. Soon you’ll be able to get a robo-advisor that offers more diversified investment products. You may be finding an Amazon or Google robo-advisor in the future. In the year since this study was published, many of the robo-advisory predictions are coming true. During 2017, new robo advisors launched at record speed. Wells Fargo, Citizens Bank, Ally Bank (bought TradeKing Advisors), TIAA are a few of the big financial firms that joined the robo-advisory group. WealthSimple, Canadian robo-advisor, became available to U.S. investors. QPlum, launched a hedge fund type robo-advisor. Additionally, Ellevest, a robo-advisor for women, came on the market with a huge splash this year. Socially-conscious investing with a robo-advisor is growing in popularity. Motif, M1 Finance, Betterment and the Grow App are among the robo-advisors with impact investing options. Earthfolio and OpenInvest are other new impact investing robo-advisory apps on the market. The hybrid model of robo-advisors which includes digital investing and human advisors is exploding as well. For example, there are individual financial advisors who are adding back-end robo-advisors. SigFig, TD Ameritrade and Vanguard Personal Advisor Services all offer financial advisor access. And, Betterment connects Premium customers financial planners and all customers enjoy Betterment’s option to text with a financial pro. Finally, here’s a handy reference list of 28 top robo-advisors. It’s certain they’ll be more coming along soon. 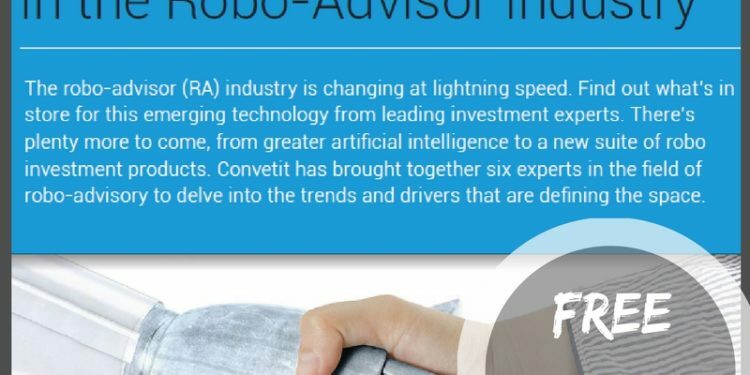 Curious about expert trends for the robo-advisory industry? 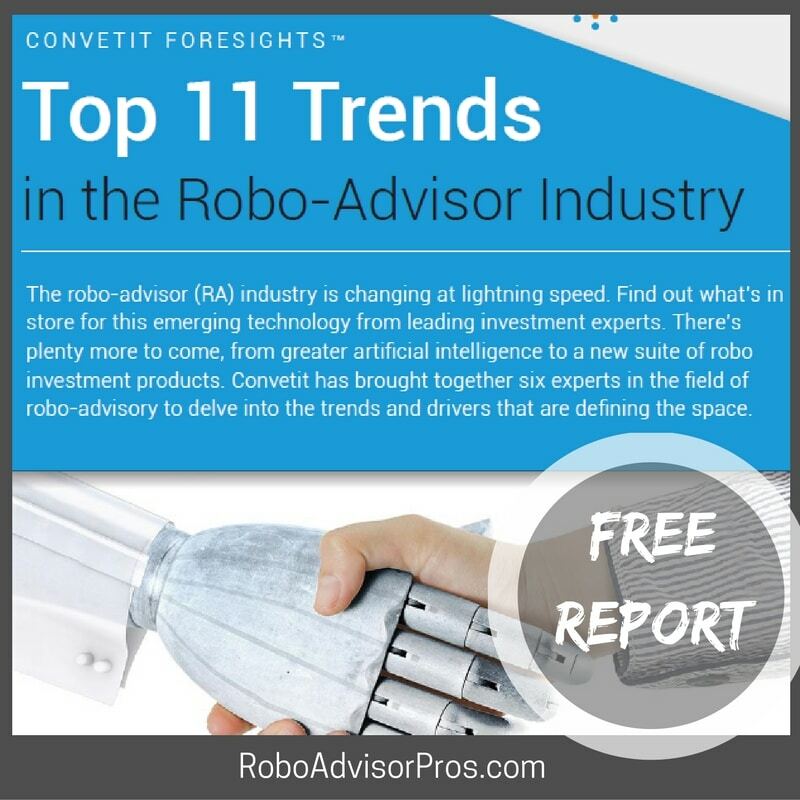 Click here for your free downloadable copy of the Top 11 Robo-Advisor Trends.